380 OakRun Drive in Mt Washington, KY is a move in ready all brick ranch home on almost half an acre. Rarely do you see a home in this fine shape at this price point. Oak Run subdivision is on a dead end road and away from some of the busier streets. 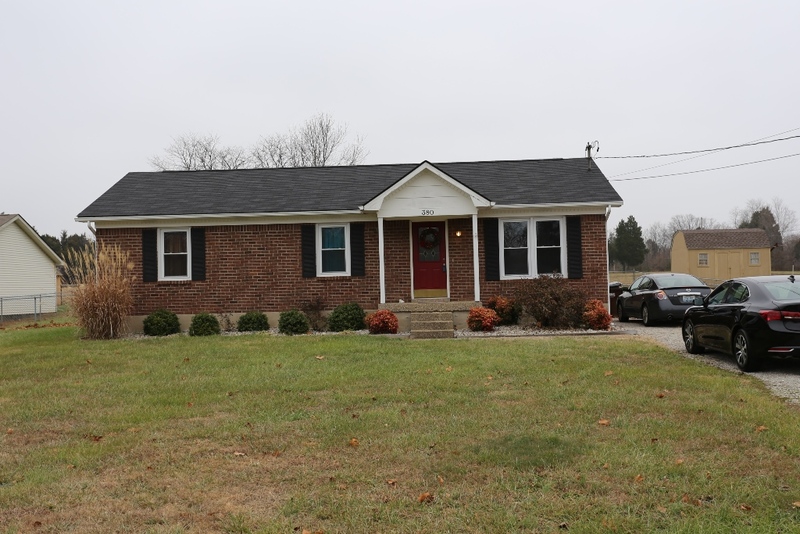 This Bullitt County home will also qualify for USDA/Rural Housing loans with zero down. Now that is hard to beat! Would a new home make all your wishes come true this holiday season? The current owners have taken great care of this home. Some of the most recent updates are major ones that will be sure to offer you some peace of mind. The roof was replaced in the last two years and the heat pump was replaced in the summer of 2014. Fresh landscaping updated in 2014 gives this house for sale great curb appeal. You will find that there is fresh neutral paint throughout the home. Most of the flooring is solid surface with carpet in only 2 rooms (bedrooms). This should help the allergy sufferer in your family. The large deck offers plenty of room for relaxing and grilling out. We love this huge flat backyard that is fenced to keep in the pets and kids. There is plenty of room for enjoying all of your outdoor activities. This Oak Run home for sale in Bullitt County is located in Mount Washington which is a short commute along Bardstown Road. Feel like you are in the country with all the conveniences of the big city with easy access to the Gene Snyder and Interstate 64 or 65. It is an easy commute to downtown Louisville. Grocery shopping and dining options are many in this area. For other options, Fern Creek is a short hop up Bardstown Road. To see if 380 Oak Run Drive in Mt Washington, KY 40047 is your next home, call Tim Hollinden with RE/MAX Champions at 502-429-3866 today to schedule your private showing. This home is also known as Louisville MLS#1407167. The Hollinden Team can also help you with other Mt Washington homes for sale as they cooperate with all of the other Louisville REALTORS.